Michigan maps from Omnimap International Map Store; travel maps, hiking maps, wall maps, and more. Michigan Atlas and Gazetteer. DeLorme. 1:150,000. Excellent road atlas with topographic maps, recreation information, and place-name gazetteer. Softcover, 120 pages. Michigan Recreation Atlas. National Geographic Maps. 1:175,000. National Geographic's Michigan Recreation Atlas is an ideal recreation resource and contains accurate, detailed topographic maps with private and public land boundaries, a complete road network, valuable recreation information and extensive cross-referenced lists and charts for campgrounds, lakes, parks, attractions and more. State Game Management Unit maps and fish species lists will appeal to the sportsman while detailed primary road networks will be of great interest to motorcyclists, RVers, and those simply touring the state. Michigan Road Map. Rand McNally. A detailed road map of Michigan and the Upper Peninsula. The map has inset maps of Ann Arbor, Detroit & Vicinity, Downtown Detroit, Flint, Grand Rapids, Kalamazoo, Lansing, Muskegon, and Saginaw. Map size is 28 x 40 inches unfolded. Michigan Road Map. Universal Map. The Michigan fold map is a full-color, regional map, including: Battle Creek, Detroit, Flint, Grand Haven, Grand Rapids, Isle Royale National Park, Jackson, Kalamazoo, Lansing, Saginaw, Sault Ste. Marie, and Traverse City. $6.99 62-74904 1 sheet, folded. Michigan Breweries & Wineries Map. Kappa Map Group. 2017. This guide includes a comprehensive directory of over 200 brewery locations and over 100 of the state's winery locations. the map includes insets covering fourteen urban areas. $7.99 62-74908 1 sheet, folded. Michigan Regional Maps. GM Johnson. This is an eleven-sheet detailed road map set giving complete coverage of Michigan. The maps highlight the backroads, lakes, and small towns throughout the state. Each map is approximately 27 x 38 inches unfolded. $5.95 62-74905-CA Michigan's Capital Area road map. Includes enlargements of downtown Lansing, Michigan State Univ., Belding, Bellevue, and 19 adjoingin towns. 2010. $5.95 62-74905-CE Michigan Central road map. Includes enlargements of Alma, Big Rapids, Breckenridge, Canadian Lakes, Clare, and 12 other towns. 2010. $5.95 62-74905-MW Michigan Midwest road map. Includes enlargements of Allegan, Caledonia, Cedar Springs, Fennfille, Fremont, Grand Haven and 14 other towns. 2010. $5.95 62-74905-NH Michigan's Northern Highlands road map. Includes enlargements of Grayling, Greenbush, Harrisville, Higgins Lake, Houghton Lake, 16 additional towns. 2010. $5.95 62-74905-NO Michigan's Northern Tip regional map. $6.95 62-74905-NW Michigan Northwest road map. Includes enlargements of Arcadia, Baldwin, Bear Lake, Cadillac, Copemish, Traverse City and 13 adjoinging towns. 2010. $5.95 62-74905-SA Michigan's Saginaw Valley road map. Includes enlargements of Au Gres, Beaverton, Birch Run, Bridgeport, downtown Saginaw, downtown Flint, and 14 adjoining towns. 2010. $5.95 62-74905-SC Michigan South-Central road map. Includes englargements of Adrian, Albion, Blissfield, Clinton, Coldwater, and 7 adjoining towns. 2010. 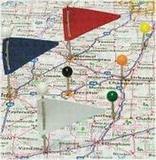 $6.95 62-74905-SW Michigan Southwest road map. Includes enlargements o Bangor, Benton Hrbor, Berrien Springs, Bridgman, Buchanan, and 21 adjoining towns. 2010. $5.95 62-74905-TH Michigan's Thumb road map. Includes enlargements for Algonac, Almont, Bad Axe, Caro, Caseville, Cass City, Sandusky, and 13 adjoining towns. 2010. $5.95 62-74905-UP Michigan's Upper Peninsula regional map. Michigan Easy-to-Fold™ Laminated Road Map. Rand McNally. The durable and convenient Michigan EasyToFold state map will take all the wear and tear your journey can dish out. The heavy-duty laminated design allows you to mark your route, make notes, then wipe the surface clean for further use. Map size is 18 x 17 inches unfolded, ideal for use in a car. This map of Michigan State is durably laminated and contains extensive coverage. Laminated maps are easy to fold, write on, and wipe off. Coverage includes enlarged insets of: Battle Creek, Detroit, Flint, Grand Rapids, Jackson, Kalamazoo, Lansing, Marquette, Sault Ste. Mare, and Traverse City; and features: Isle Royale National Park, Interstate Exit Numbers, a Mileage Chart, Parks and Rec Areas, and Places of Interest. $9.99 62-74906 1 sheet, folded. Michigan City Maps - Paper Maps. Various publishers. $6.95 63-1550 University of Michigan at Ann Arbor. (Hedberg). $5.99 62-7492A Ann Arbor/Brighton/Howell Map. (Rand McNally). $6.95 62-7492ANN Ann Arbor Street Map. (GM Johnson). $5.95 62-7492BAT Battle Creek & Jackson City Map. (GM Johnson). $5.95 62-7492BR Brighton city map. (GM Johnson). Includes Howell, and Livingston County. $5.95 62-7492CAP Capital City area map. (Universal). $6.99 62-7492DD Detroit & SE Michigan street map. (Rand McNally). $7.99 62-7492DE Greater Detroit street map. (Universal Map). $5.95 62-7492FLI Flint Street Map. (GM Johnson). $7.99 62-7492GRA Grand Rapids city map. (Universal). $6.95 62-7492GRR Grand Rapids city map. (GM Johnson). 62-7492BAT Jackson & Battle Creek city map - 62-7492BAT Battle Creek above. $6.95 62-7492KAL Kalamazoo city map. (GM Johnson). Includes Augusta, Galesburg, Portage, Richland, Shoolcraft, and adjoining communities. $5.95 62-7492LA Lansing city map. (GM Johnson). $4.95 62-7492MA Mackinac Island street map. (GM Johnson). Includes Saint Ignace, Cheboygan. 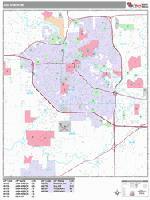 $5.95 62-7492MACO Macomb County street map. (GM Johnson). $5.95 62-7492MB Macomb City Map. (Universal Map). Now out of print - limited stock left. $5.95 62-7492MID Midland & Mt. Pleasant city map. (GM Johnson). $4.95 62-7492MO Monroe County street map. (GM Johnson). Includes Bedford twp., Carleton, Dundee, Luna Pier, and adjoining towns. $5.95 62-7492MUS Muskegon city map. (GM Johnson). Includes Saugatuck, Zeeland, Norton Shores, Spring Lake, and adjoining towns. $4.95 62-7492MU Muskegon/Grand Haven City Map. (Rand McNally). $6.95 62-7492OKN Oakland County North street map. (GM Johnson). $5.95 62-7492OKS Oakland County South street map. (GM Johnson). $6.95 62-7492PP Port Huron and Saint Clair County street map. (GM Johnson). $5.95 62-7492SA Saginaw City Map. (GM Johnson). $6.99 62-7492SB Saginaw Valley Map. (GM Johnson). $5.99 62-7492TR Traverse City street map. (Universal Map). Now out of print - limited stock left. $5.95 62-7492TRA Traverse City street map. (GM Johnson). $6.95 63-1550 University of Michigan at Ann Arbor map. (Hedberg). $4.95 62-7492UP Upper Peninsula City Map. (Rand McNally). $5.95 62-7492UPP Upper Peninsula City Map. (GM Johnson). $7.99 62-7492UR Upper Peninsula City Map. (Universal Map). $8.99 62-74921AN Ann Arbor Laminated Map. (Universal Map). $8.95 62-74921LAN Lansing Laminated Map. (Universal Map). Now out of print - limited stock left. $29.99 62-74922DA Detroit Street Atlas. (Universal Map). The Detroit, MI Atlas is a full-color street atlas, including: Allen Park, Dearborn, Dearborn Heights, Garden City, Inkster, Lincoln Park, Livonia, Melvindale, Plymouth, Romulus, Southgate, Taylor, Wayne, Westland, and Wyandotte; and features: Block Numbers, Colleges and Universities, Golf Courses, Parks and Rec Areas, Places of Interest, and ZIP Codes. Now out of print - limited stock left. $21.99 62-74922GR Grand Rapids Street Atlas. (Universal Map). The Grand Rapids, MI Atlas is a full-color street atlas, including: East Grand Rapids, Grandville, Kentwood, Walker, and Wyoming; and features: Airports, Block Numbers, Colleges and Universities, Golf Courses, Government Buildings, Interstate Exit Numbers, Parks and Rec Areas, Places of Interest, Schools, and ZIP Codes. Now out of print - limited stock left. We offer wall maps for Ann Arbor, Battle Creek, Canton, Dearborn, Dearborn Heights, Detroit, East Lansing, Farmington Hills, Flint, Grand Rapids, Jackson, Kalamazoo, Kentwood, Lansing, Livonia, Novi, Pontiac, Redford, Rochester Hills, Royal Oak, Saginaw, Southfield, St. Clair Shores, Sterling Heights, Taylor, Troy, Warren, Waterford, West Bloomfield, Westland, and Wyoming. Sample detail from the Ann Arbor wall map. There is one popular long-distance trail in Michigan - the North Lakes Trail that crosses Michigan and the Upper Peninsula. There are two shorter trails - the Lake Erie Connector Route and the Detroit Alternative Route. We also stock the single-sheet cycling map for the entire state. Click here for our Michigan cycling maps list. Michigan Fishing Maps. We stock fishing maps for numerous Michigan lakes, rivers, and reservoirs. Click here for our Michigan fishing maps. US Geological Survey Topographic Maps of Michigan. We stock all USGS topographic maps of Michigan at all available scales. Click here for Michigan topographic maps. We stock numerous US Forest Service maps for Michigan National Forests. Click here for our Michigan National Forest maps. We have an attractive raised relief map for all of Michigan plus one 1:250,000 sectional raised relief map for Marquette. Click here for the raised relief map of Michigan. Isle Royal Hiking Map. 1:63,000. Trails Illustrated/National Geographic Maps #240. Detailed topographic hiking/canoe map showing trails, beaches, scenic view, campgrounds, and much more. Printed on waterproof, tear-resistant synthetic paper. $11.95 63-2100-240 1 sheet, folded. Michigan State and County Wall Maps. Intelligent Direct. 1:500,000. 1970. This two-sheet map measures approximately 143 x 168 cm. Sample detail from the Michigan topographic map. Image of the Michigan topographic map. $19.99 62-7450 Michigan Contoured topographic map. 2 sheets. 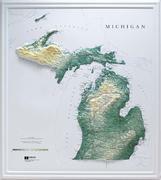 $39.90 62-7450L Michigan Topographic map, laminated. $3.95 62-1000MI Michigan flag, small. Size 4 x 6 in. $9.95 62-1001MI Michigan flag, medium. Size 8 x 12 in. $39.95 62-1003MI Michigan flag, large. Size 2 x 3 ft.